Rosemary tea is an herbal infusion that has been used throughout time for its many wonderful health benefits. This Mediterranean herb is made special by its unique scent and flavor that makes not only a healing but very enjoyable cup of tea. Stressed and tired? This is the tea for you! Brew a piney scented tea full of nutrients that provide comfort and health to you on a daily basis. Have a cup of this remembrance tea! Rosemary tea is made from the leaves of the herb rosmarinus officinalis in Latin, which is a plant native to the coastal regions of the Mediterranean and grows from 90cm to 180cm tall, at most. Today you may find this plant being cultivated all over the world. This herb is a woody evergreen perennial that has shiny, needle-shaped leaves that are dark green above and white with downy hairs below. Known for their fragrance, if you crush a few rosemary leaves you are sure to smell its very unique sweet pine-like smell. Beautiful white, pink or lavender-blue flowers bloom in the spring from this small bush, but in warm climates, you may find it with flowers all year long. The Latin name rosmarinus means "dew of the sea" referring to the fact that this herb grows on cliffs by the sea and is able to survive on no more water than the humidity from the sea. Legend says that when the Greek goddess Aphrodite rose from sea she was draped in rosemary. Christian legend however refers to the Virgin Mary spreading her blue cloak over white rosemary flowers turning them blue and thus the plant became known as "Rose of Mary". This herb was found in the gardens of Ancient Egypt, Rome and Greece. Long used for its medicinal properties, for food preservation and cooking, for religious rituals and it was used even for the first treatments in aromatherapy. The ancient Greeks made garlands from this herb with the purpose of stimulating their brain activity and memory, a custom found throughout history. 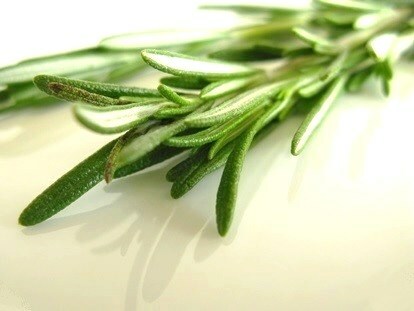 It was the Romans who helped to spread the use of rosemary to the rest of Europe. In the Middle Ages rosemary was a symbol of fidelity, love and happiness that was used in wedding ceremonies. In other religious ceremonies, it was a sacred sign of remembrance and protection from evil spirits. Today rosemary is still widely used fresh or dry in cooking, it is an important seasoning element in Mediterranean cuisine. 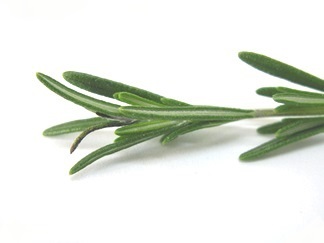 Just a few leaves of rosemary are enough to lend flavor to meat dishes or season desserts. Symbolically, this herbal tea is still associated with remembrance and purification as many still brew rosemary tea to help soothe nerves and improve overall brain function. Due to its beneficial effects on skin and hair, the cosmetic and perfume industry has long used this plant. No other this is a common scent found in body and hair products. It is also much loved as a simple, easy to grow ornamental plant, a great addition to any garden. A cup of rosemary tea is full of elements that are good for you. It contains vitamins A, B1, B2, B3, B6, B12, C, K and D. This rich tea also contains antioxidants and minerals such as calcium, iron, magnesium, manganese, phosphorus, potassium, sodium and zinc. Such a combination of nutrients in a single tea cup may help you in many ways. 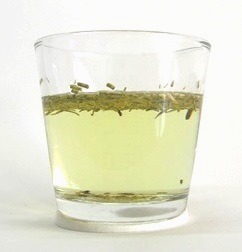 A cup of this rosemary infusion is uplifting, refreshing and invigorating. Some even say that it is good for your vitality, to get you moving and brighten your mood. It's a great energizing tonic for those who feel mentally and psychologically down. This herbal tea is essentially a tonic that soothes the nerves and stimulates them at the same time. Be sure not to drink this tea to close to your bed time or you may have difficulty falling asleep. Rosemary tea may help ease anxiety, and aid you in dealing with bouts of hysteria and even depression. Its mild stimulating action may also help to ward off fatigue and exhaustion that could be stressing you out. Its mild analgesic action may help relieve tension headaches and migraines. It may also ease pain and tension throughout the body, relaxing muscles. Tip: take a soothing bath with rosemary blended with lavender. It will relieve nerves and soothe your pains. One of the great benefits of rosemary tea is its ability to boost blood circulation thus delivering more oxygen and nutrients to the brain. It may help with overall brain function improving both quality of memory and alertness. This herbal tea may help you stay focused and concentrated facilitating the learning processing. It may also be of help to the elderly by protecting the brain from harmful elements that could cause brain degenerative diseases such as Alzheimer's disease. Studies are underway to understand the potential of rosemary infusions in the treatment of seizure disorders such as focal epilepsy. Take a cup of this tea after your meals to help both stomach and intestines. Rosemary tea is said to help relieve painful indigestion by making your stomach produce the necessary fluids to break up food and absorb nutrients at a faster rate. Tip: do not add lemon to your rosemary tea as it make your stomach act up again and revert the wonderful benefits of this herb. At the same time, this herbal tea may reduce bloating and flatulence, preventing both abdominal cramps and muscle spasms, and assisting when you suffer from irritable bowel syndrome. Rosemary herbal tea may help with cellulite and obesity as it improves digestion of fats and prevents accumulation of waste. Note that although this tea helps with weight control, it also may boost your appetite, so choose healthy food as much as possible. Finally, try using this tea as a mouthwash for bad breath and it may relieve mouth ulcers. 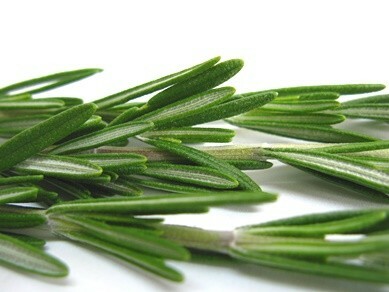 In autumn make sure to always have rosemary in the house, as this tea may be helpful to treat cold and bronchitis. A cup of rosemary tea may act as an expectorant, clearing up coughs with phlegm; it may clear up nasal and lung congestion. If it comes to it, you may also drink this tea to bring down a fever. This herbal tea may be used to help treat other respiratory infections and problems such as bronchitis, asthma, coughs and seasonal allergies. Rich in antioxidants, a regular cup of rosemary tea may help strengthen your immune system. This aids in the recovery from illness and debilitating states. At the same time it may protect you against future disease as rosemary is antiviral, antimicrobial and anti-inflammatory. Rosemary herbal tea is considered a circulatory tonic because as it may help your blood flow better and enhance the uptake of oxygen in your cells. It is also said to strengthen both heart and blood vessels and may even reduce the risk of atherosclerosis. This herbal tea may help raise and normalize your blood pressure. This is great to warm your body if you suffer from poor circulation particularly in the hands and feet. It will also give you nice rosy cheeks and a healthy glow. One of the main elements of rosemary is iron, making this a great tea to drink on a daily basis when you suffer from anemia. Make sure to get tested by your doctor so as to make sure there isn't any other more serious health problem. A regular cup of rosemary tea may help bring balance and protect your liver. A healthy liver will help get rid of harmful toxins that accumulate in your body. You will feel and look fresher, healthier and more energized. At the same time this herbal tea brings balance to your hormonal levels, which is important to help regulate your reproductive organs. So drinking rosemary tea may help relieve menstrual pain and regulate your menstrual cycle. If you are prone to suffering from premenstrual syndrome (PMS), it could be a good idea to have a cup of this herbal infusion before lunch and dinner a couple of days before your period. The high content of antioxidants in this tea is also beneficial for protecting your body at the cellular level. A regular cup of tea may aid your body in getting rid of free radicals brought on by stress and pollution and that could cause harm to your DNA. By keeping your cells healthy this could be a great aid in preventing cell mutation that could lead to illness and possible tumor growth and ultimately cancer. Rosemary tea may also be externally both on your hair and skin. 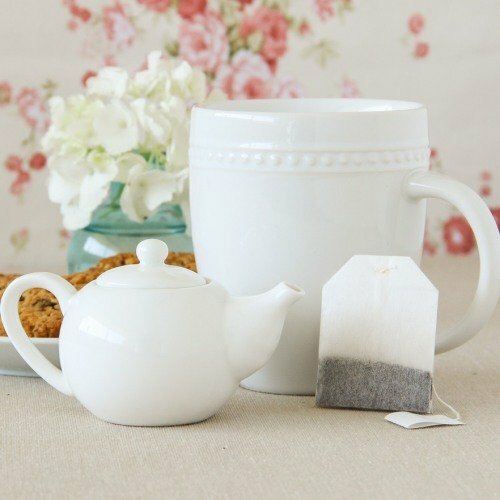 Apply the cooled tea to your skin with a cotton ball and use it to clean normal to oily skin. It may help treat skin irritation and disease such as eczema or acne, and help to heal superficial wounds with its antiseptical action. A cooled infusion of rosemary gently massaged as a rinse into your hair and scalp may help treat oily hair and reduce dandruff. The stimulating action may also promote hair growth and prevent premature balding. Here's an idea: after a long day make a nice warm rosemary footbath and let your feet just soak and relax. Go an extra step and prepare a scented herbal bath to help with rheumatism, arthritis, muscle aches or sprains. It is said to bring down swelling and reduce inflammation. Tip: Apply a little to your skin to test for any possible allergic reaction, and if you are ok then go ahead and use it. This is a wonderful herbal tea with lots of health benefits for you to enjoy one cup at a time. Would you like a sip of rosemary tea now? While rosemary tea may have numerous health benefits for you, you should also be aware of information as to possible side effects of this herb in order to achieve the best possible results from its use. Generally, there are little known side effects for a regular healthy person when drinking this herbal tea. However, if you are on medication, caution is advised. May cause an allergic reaction when applied topically. So always test first on a small area of your skin to make sure you are okay to use this tea. Follow the recommended amount of rosemary tea per day as too much may cause vomiting, spasms, gastritis and kidney inflammation. Drink in moderation. If you have ulcers or suffer from Crohn's disease or ulcerative colitis then best choose another tea as an herbal remedy as the volatile oils in rosemary may irritate your system. For women who experience heavy periods on a regular basis, you should avoid drinking too much of this tea as it is said to help stimulate your menstrual flow. Unfortunately if you are taking blood thinners or simply have high blood pressure, then best not take this tea as it may interfere with your medication and cause serious problems. 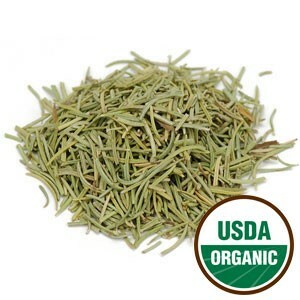 Rosemary tea may act as a diuretic and interfere with medication taken for diabetes. So you should better just use this herb as a seasoning and not ingest it in tea form. Avoid drinking this tea while pregnant or breastfeeding. Unfortunately there is a risk associated with drinking large amounts of this tea. 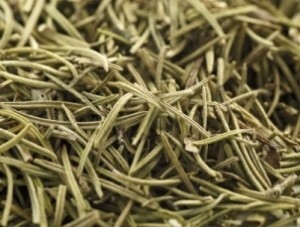 Rosemary tea may cause uterine contractions that could lead to miscarriage. So talk to your doctor and if s/he is not against it, then stick to no more than one cup of tea per day. Let's take a look now at how to make rosemary tea. It is quite easy to make and you will be enjoying it soon. 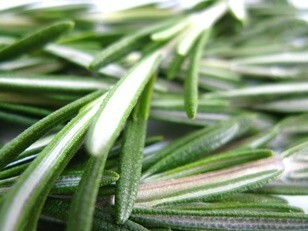 The whole above-ground part of the rosemary plant contains beneficial components. The tea itself is made the fresh or dried leaves. Start by boiling water to make your tea. Place inside your teapot 1 teaspoon of dried rosemary leaves per each cup of water it holds. 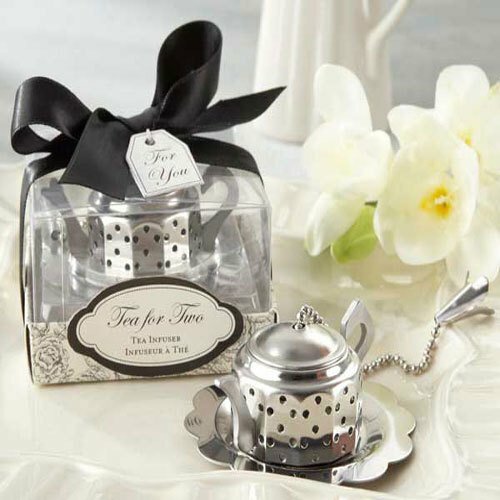 You can use a mesh infuser to prevent the leaves from clogging your teapot when serving. Pour boiling water over the leaves and let steep for 10 minutes and serve. Your brewed herbal tea is light in color, almost colorless in fact. Take your tea with or after your meals. It is a piney and fragrant tea, but make sure to strain the leaves, as these have a bitter and rather astringent flavor. Drink about 2 cups per day to fight fatigue, 3 cups to help your digestion and about 4 cups a more serious cold. Sweeten your tea with honey and lemon for a nice flavor and the additional healing benefits, great for a sore throat or a painful indigestion. 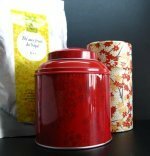 This is a very refreshing tea to drink in the summer and if you pick the leaves in the summer you can either use them fresh or dry them to use in the cold seasons. You can also make a stronger infusion to add to your bath water. Just remember to let your tea cool down before adding it to your tub so as not to get scalded with the boiling water. Buy Your Rosemary Tea Today! Click on the image or on the link below to purchase from Starwest Botanicals your Organic Rosemary. 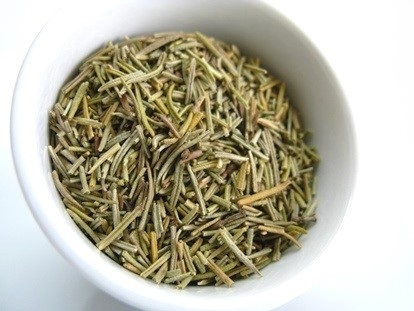 Make a soothing cup of tea with this Mediterranean seasoning herb. Sweetened with honey or with a splash of lemon juice this is the perfect herbal tea for you. Buy your Rosemary tea now! Try this Mediterranean herbal remedy and enjoy the piney refreshing flavor of a great cup of tea. Take a sip of Rosemary tea!